I would like it more like this, I love this mod for ROR. hey @BeamDrifter Im trying to do a bogie based on your idea but it explodes on spawn. Can you help me troubleshoot why? I'm 90% sure that it will be the name of this mod. I like it myself but I'll change it if everyone hates it. 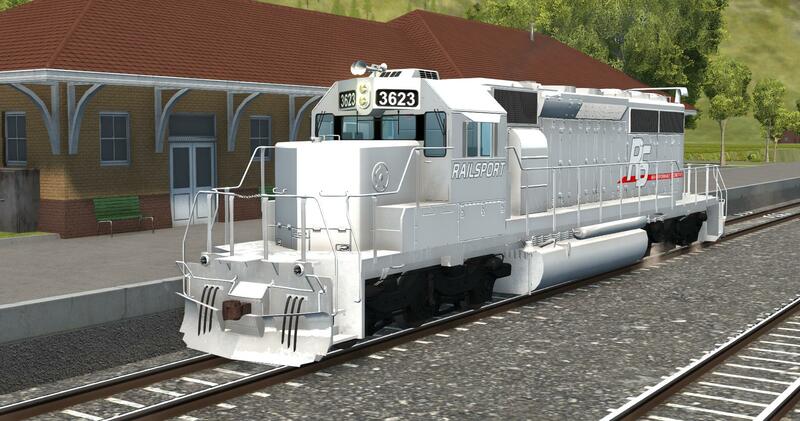 I won't do any more skins for this locomotive because the file size is already 170 MB when packed. The skins only are about 120 MB. It is very powerful, fast and easy to derail and fly into a tree. 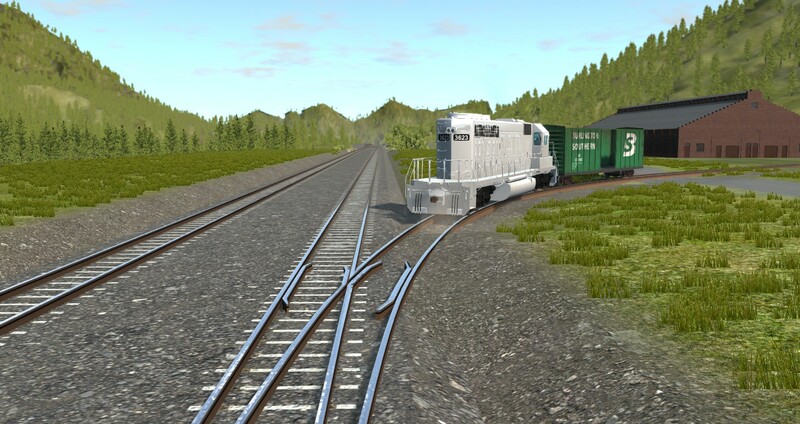 It has absolutely no safety and too much power making it likely the most dangerous locomotive ever (at least in BeamNG). 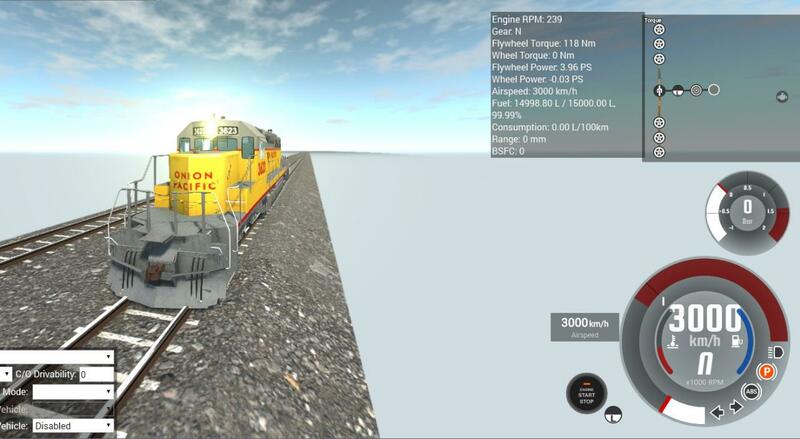 I don't know if I should change that "high performance locomotives" text into something like "high speed derailing" or "more brake fade than safety". 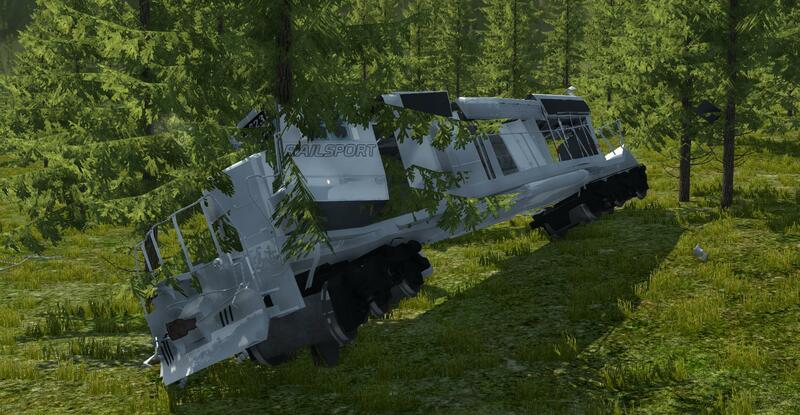 It really has a lot of brake fade but stopping 180 tons from 140 mph isn't easy. 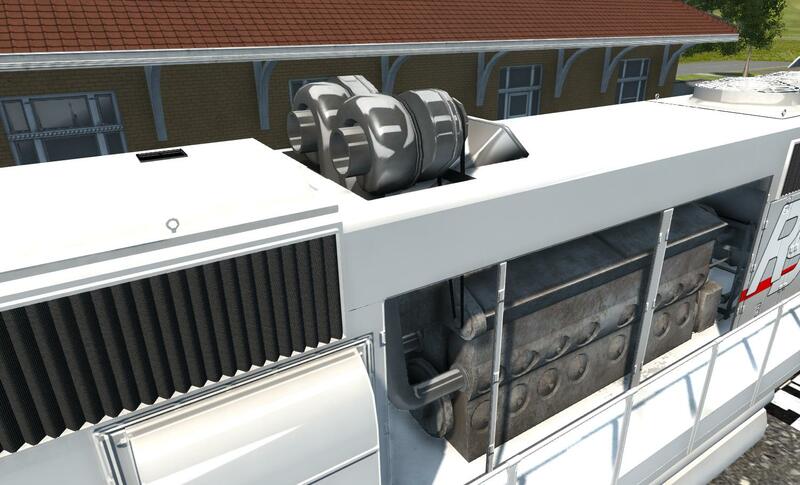 I also made centrifugal superchargers to make the engine even more powerful and a semi automatic transmission that doesn't have a model yet. It accelerates from 0 to 100 km/h in 2 seconds (obviously with drag wheels). A Bugatti Chiron would lose a drag race against it. Now it can go 3000km/h or 1864 mph or mach 2.43 (2.43 times the speed of sound) with thrusters and zero-friction wheels. Sometimes it works, sometimes it doesn't want to work and the train derails. The moving part is a jbeam object and everything else is a static object. This part is really hard to get right. 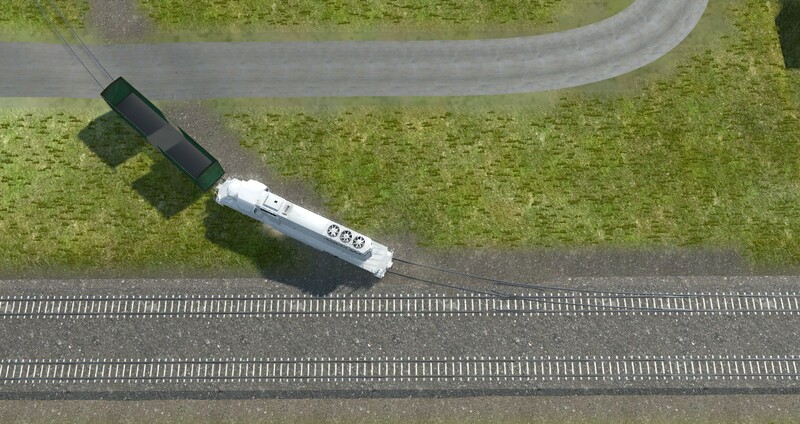 The train goes in the wrong direction if the gap is too wide or too narrow. Make it so that it works always perfectly when turning right - it won't work when going straight and vice versa. I think it's quite impossible to make it perfect so I might leave it just as it is now - when it still works. Should there be a dot? Thank you! Adding the guardrails was all I had to do. Even this super sharp curve won't derail it now. I also really like the off-brand US railroad companies! They're hilarious! Im glad to heard that I was helpfull to you, I had a similar problem when doing rail swiches on Scrap Mechanic and there to the guard rails did all the diference.